Chances are, if you’re reading this article, you have (or suspect you have) diabetes. If you don’t have diabetes, perhaps you have a family member or friend who does. Or maybe you’re just curious to learn more about diabetes: After all, 29 million people in the United States have it (although 8 million of them don’t know it). What’s even scarier is that a whopping 86 million people in this country have prediabetes, which means that their blood sugar is higher than what it should be, but not yet high enough to be called diabetes. 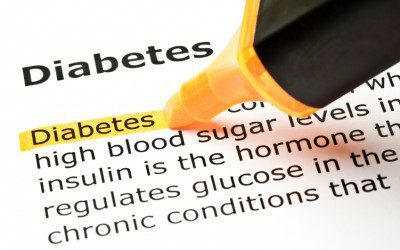 Given that 1 in 3 American adults has prediabetes and that 15–30% of them will go on to develop Type 2 diabetes within five years, it’s not a bad idea to familiarize yourself with the signs and symptoms of diabetes, including both Type 1 and Type 2 diabetes. Let’s start with Type 2 diabetes first, since it’s more common than Type 1. Many people think that Type 2 diabetes is the “milder” type of diabetes or that it’s not all that important to pay attention to. Perhaps their doctor told them they have a “touch” of diabetes or “borderline” diabetes, downplaying the significance of it. You should know, however, that Type 2 diabetes certainly is just as “important” and serious as Type 1 diabetes. Why do these symptoms occur? In a nutshell, the signs and symptoms above are due to either high levels of glucose (sugar) in the blood and/or a lack of insulin. Glucose is the body’s fuel. When there isn’t enough insulin to move glucose from the bloodstream into cells, the body can’t properly fuel itself. That’s why you feel tired and have trouble concentrating. High blood sugar levels can dehydrate you because the body is trying to get rid of excess glucose through urination. In addition, high blood sugars impair your immune system, leaving you open to infections that don’t easily go away or cuts that don’t heal. Keep in mind that many of these symptoms can be signs of other conditions, which is why, if you have any of these, you need to see your doctor. You should also know that Type 2 diabetes tends to develop slowly. Because of this, you may not pay much attention to any symptoms, chalking them up to other things, such as not getting enough sleep, for example. You might not even have any symptoms! Type 1 diabetes accounts for about 5–10% of all cases of diabetes. A lot of people think that only kids can get Type 1, but that’s not the case. Anyone can get Type 1 (or Type 2) diabetes at any age. However, Type 1 is more commonly diagnosed in younger people. In Type 1 diabetes, the body’s immune system “attacks” the insulin-producing cells (called beta cells) in the pancreas. As a result, the pancreas stops making insulin and blood sugar levels quickly climb. Type 1 diabetes is not a result of lifestyle factors, such as eating poorly, being overweight, or not exercising. You’ll note that many of the symptoms of Type 1 are the same as those of Type 2. But Type 1 diabetes symptoms tend to come on very quickly. A person who has not yet been diagnosed with Type 1 will generally get “sick” very quickly and often this sickness is mistaken for the flu or other types of illness. While all of the above symptoms require medical attention, the last five symptoms on the list are signs of a very serious (and potentially fatal) condition called diabetic ketoacidosis, or DKA. This occurs because the body lacks the insulin needed to use glucose and the body must instead break down fat to use for fuel. Ketones, a by-product of this fat metabolism, can cause the blood to become acidic, and high levels of ketones such as those seen in DKA can be toxic. A person in DKA requires emergency treatment consisting of IV fluids and electrolytes, as well as insulin. Diabetes (Type 1 and Type 2) can be diagnosed in the doctor’s office with a simple blood test that checks either your blood sugar or your A1C level (a measure of blood sugar control over the previous 2–3 months). It can also be diagnosed with a special test called an oral glucose tolerance test. If there is any doubt about what type of diabetes you may have, your doctor can order antibody tests that help determine if you have Type 1 diabetes versus Type 2. Again, if you have any of the symptoms mentioned and/or if you have a family history of Type 2 diabetes, are overweight, or have any other risk factors talk with your doctor and get tested. Remember that people live long, healthy lives with diabetes! Diabetes can frequently cause nerve damage, or neuropathy. What can you do about it? Bookmark DiabetesSelfManagement.com and tune in tomorrow to find out from nurse David Spero!